Millions of people were charmed by the homespun golf advice dispensed in Harvey Penick’s Little Red Book, a sports classic that went on to become the best-selling sports book of all time. Yet, beyond the Texas golf courses where Penick happily toiled for the better part of eight decades, few people knew the self-made golf pro who coaxed the best out of countless greats — Tom Kite, Ben Crenshaw, Betsy Rawls, Mickey Wright — all champions who considered Penick their coach and lifelong friend. In Harvey Penick, Kevin Robbins tells the story of this legendary steward of the game. From his first job as a caddie at age eight to his ascendance to head golf pro at the esteemed Austin Country Club to his playing days when he competed with Bobby Jones and Walter Hagen to his mentorship of some of golf’s finest players, Penick studied every nuance of the game. 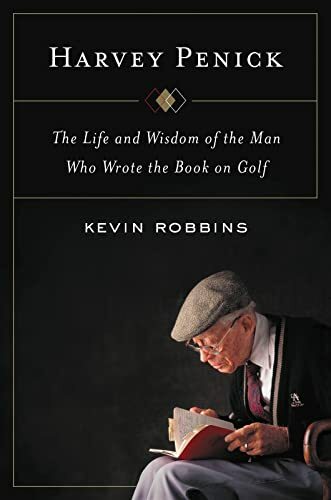 Along the way, he scribbled his observations and anecdotes, tips and tricks, and genuine love of the sport in his little red book, which ultimately became a gift to golfers everywhere. Part elegy to golf’s greatest teacher, part inquiry into his simple, impactful teachings, part history of golf over the past century, Harvey Penick is an exquisitely written sports biography. KEVIN ROBBINS is a professor at the University of Texas, Austin, School of Journalism. He spent 22 years as a writer in daily newspapers, including the Austin American-Statesman and the St. Louis Post-Dispatch. His work has appeared in Sports on Earth, the New York Times, espnW, and Texas Monthly, and has twice been featured in The Best American Sports Writing.